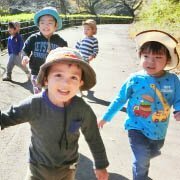 Play, learn, and grow together with nature at Pan International Academie Denenchofu. We offers 24 hours child care service to all our students. 50% OFF for entrance fee campaign and admission briefieng in held. We offer a free trial lesson. goes out to more than 50 diffrent places a year in Japan. provides security measures for your child’s safety. Learning social skills in authentic, meaningful ways in English. 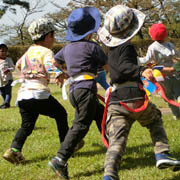 Pan International Academie Denenchofu is one of the best outing school in Japan. 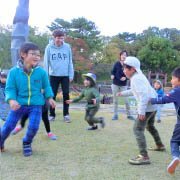 We are surrounded with two beautiful big parks Seseragi park and Tamagawadai park, We are also very close to Tama river park. Our school is located directly across from Tamagawa station. As we celebrated our school's 11th year anniversary, we will continue to provide children to discover their potential with glowing opportunities. 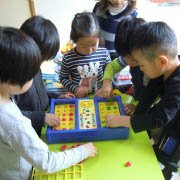 we extend the classes including the preschool class and offers "24 hour nighttime childcare service" to keep your children until the next morning. Whether first-time kids or returning children, we provide standard curriculum achvities depending on their age and English levels. 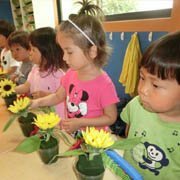 As part of early childhood edvcation, learning English with foreign teachers and friends will help them fulhill new language requirements beginning in 2020, before they start elementary school. For elementary students, English language will become increasingly more important in the future. If you are staying in Japan for a while, we offers seasonal program such as :　Summer Class, Spring Class and Winter Class with foreign teachers. We are lucky, we are located in good environment, with two beautiful big parks. We are located less than a minute on foot, directly across from Tamagawa Station. 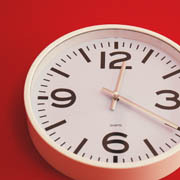 We offers services like extended classes for busy parents’ to relieve the burden of picking up their child’s on time. We also provide educational environment that we can keep your child’s safety. We open our school 11 years ago, we are happy that zero accident since then. Through sharing of information such as allergies, disaster prevention drills, implementation of safety measure. We will reassure you that your child’s safety is our school’s priority. If you want to know more about our school activities and events please check our photo page. 24 hours child care service. All Rights Reserved. Homepage design and management by Dotsworx Inc.